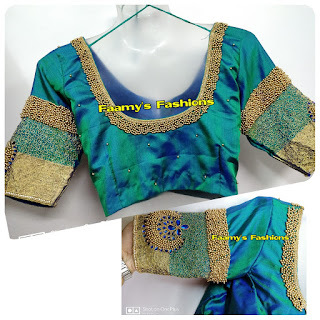 Beadwork Blouse is now trending for all type of occasions pairedup with pattu sarees and even fancy sarees . 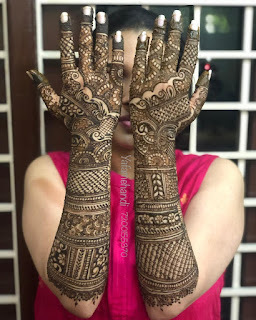 At the sleeve jimmiki design which is higlighted half with thread load work. All over embroidery design for parties which is glittering beauty . 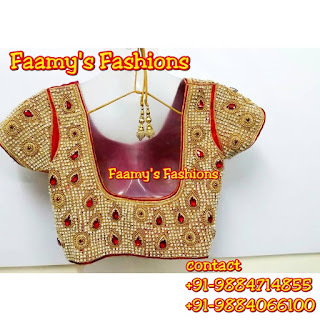 checkout out facebook and instagram Faamy's Fashions accounts.